One of the North Shore’s best-known pubs has sold in a surprise deal that was a case of ‘an offer they couldn’t refuse’. Just 15 months after purchasing it for $13 million, Halcyon Group has divested the landmark Buena Vista Hotel in the upmarket Sydney suburb of Mosman to a brand new hotel operation – The Public House Management Group (PHMG). The Medich family-operated Halcyon purchased both the Buena Vista and Woolahra’s Centennial Hotel in a matter of weeks, early last year. 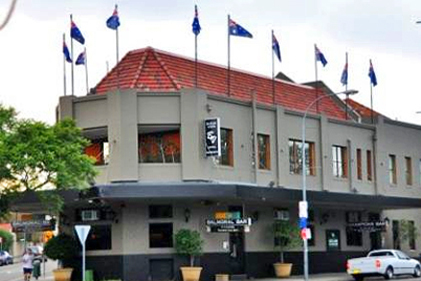 The Group subsequently overhauled the Centennial into a boutique food-based venue, and had thus far submitted plans for an equally comprehensive make-over of the Mosman pub. But in a surprise turn-around Halcyon accepted an offer through its agent, Ray White Hotels, that “was notably in excess” and ultimately too good to turn down. Records show that PHMG was incorporated just this month, but the pivotal acquisition points to experienced operators, which Ray White director Andrew Jolliffe was able to confirm to PubTIC. The fast turn-over of the property is indicative of the price push taking hold in commercial assets, as lazy money earning minimal interest searches for better returns. “With interest rates at a record low, individuals with money in the bank are eager to tap into the better returns that come from property-based investments with strong yields,” continued Jolliffe. While the demographic is certifiably upper socio-economic, Mosman has the unusual status of very few pubs, and the 1901-built Hotel is virtually the definition of irreplaceable. “The Buena Vista is patently one of those hotels that enjoys almost folklore status within the hotel industry, and apart from being a fantastic business within the Mosman economic community, the property’s prime and multi-street fronted position on Middle Head Rd makes it a commercial property holding of significant nature,” added Jolliffe. Sydney’s Northern Beaches has seen a string of high-priced acquisitions this financial year, highlighted by Arthur Laundy and Fraser Short’s purchase of the Mona Vale Hotel, and Justin Hemmes’ Merivale purchase of the Newport Arms, both of which were also transacted by Ray White.